The best way to avoid becoming infected with the Zika virus is to prevent mosquito bites. An easy concept in theory, but what seems an impossible task during the summer months. Following these tips will help minimize the chance of being bitten, especially for those who are pregnant or any chance of being pregnant. Stay inside as much as possible. 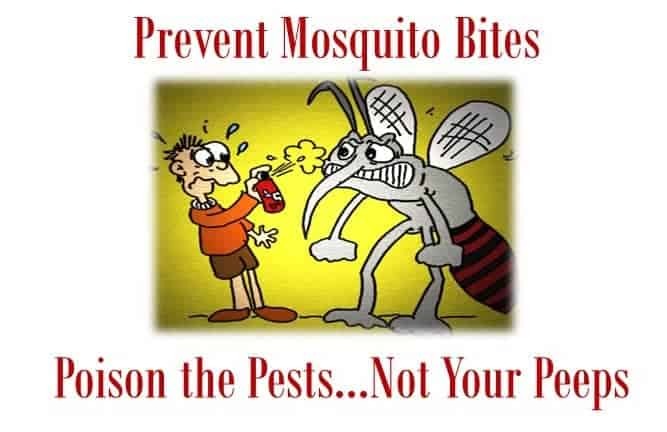 If you are not using air conditioning then be sure you are using window and door screens that keep the mosquitos out. Repair any tear or hole in the screen no matter the size. Wear long, light colored clothing, a hat, and shoes that cover the feet. Mosquitos are attracted to dark clothing, they love feet, faces, upper arms and sweaty places. Check your outdoor space for any standing water. The Aedes mosquito breed in the tiniest amounts of water. Examples are the small amount of water that collects in plant saucers or tire swings, the small pools of water that can collect in large leaves after a rain or watering, even the small crevices found on the slats of a wood deck or outdoor furniture cushions with indentations can collect enough water for it to become a breeding ground. Don’t forget the gutters, if they are clogged with sticks and leaves the water cannot drain. When having an activity outside, if it is possible, use a big fan in the area, mosquitos are small and unable to fly in the wind. Use EPA registered insect repellants and as with all pesticides, read the product label BEFORE use and follow the directions. Re-apply the insect repellant as needed. A good rule of thumb is that for DEET a 10% product provides about 2 hours of protection while a 20% product provides twice the amount of time. Do not spray the skin under your clothing and if a sunscreen is being used it should be applied prior to the insect repellant. Do not apply insect repellant over cuts, wounds, rashes or irritated skin. Insect repellants should not be used on babies under 2 months of age. The child needs to be in clothing that covers the arms and legs. Cribs or strollers should be covered with mosquito netting. Adults should apply insect repellant to children. Never spray product directly onto the face. Spray some in your hands and spread it onto their faces, wash your hands after applying the repellant. Do not use insect repellant spray indoors. Use it as soon as you go outside in an open area to limit how much of the spray is breathed in. Consider purchasing clothing that is treated with permethrin or treat clothing and gear yourself with an appropriate permethrin product. The treated clothing remains protective against bites after multiple washings, see product label for specific information. If you are treating the clothing yourself read the permethrin product direction label carefully. Do not use permethrin products intended for use on clothing directly on the skin. Once you are inside for the night make sure everyone takes a bath or showers using soap and water. Any sprayed clothing needs to be laundered before it is worn again.